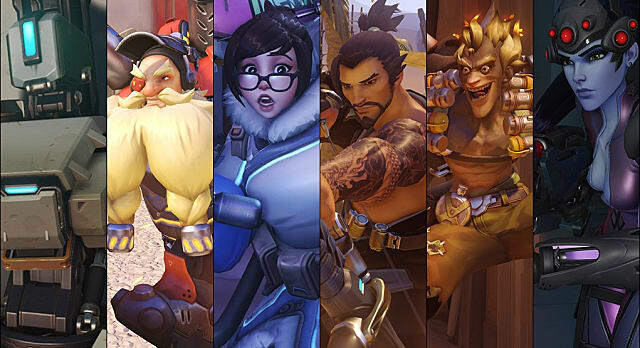 In order to successfully win in Overwatch a team must be balanced in its ability to obtain and keep an objective, and to push payloads in strategic gameplay. 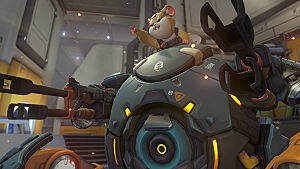 Depending on whether the objective is point capping or payload moving, a specific team composition makes the difference. Keeping this in mind these are the more effective characters in Overwatch to play with a defensive play-style. 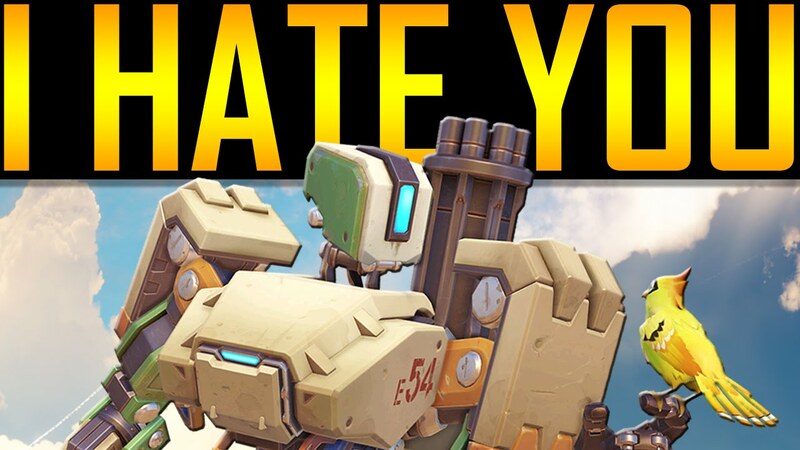 Everyone's worst nightmare during the beta and current distributor of player salt is the military mechanized Omnic Bastion. 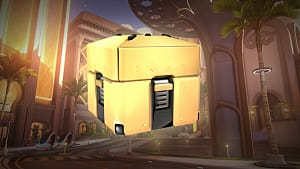 Bastion is on the list for his ability to be played by any player of varying degree of skill, as he is able to be efficiently played under several circumstances. His standard form has a submachine gun doing 6-8 damage, but in addition he also possesses a sentry mode, as well as self-repair giving him massive survivability boosts. Sentry mode allows 35 rounds per second to high value targets, such as Reinhardt's shield and other tanks, at 4-6 damage per 1 bullet. This allows him to maintain control over an objective unless dealt with. 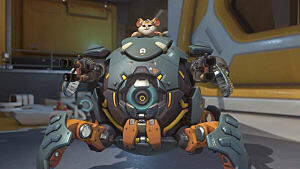 His tank form will add mobility and 150 armor, making Bastion harder to destroy and more deadly with a whopping 205 damage cap to his projectile to wipe an objective. Reinhardt lives with a knightly code of justice, loyalty, and courage. Boasting a large hammer and shield he is definitely defensively inclined. 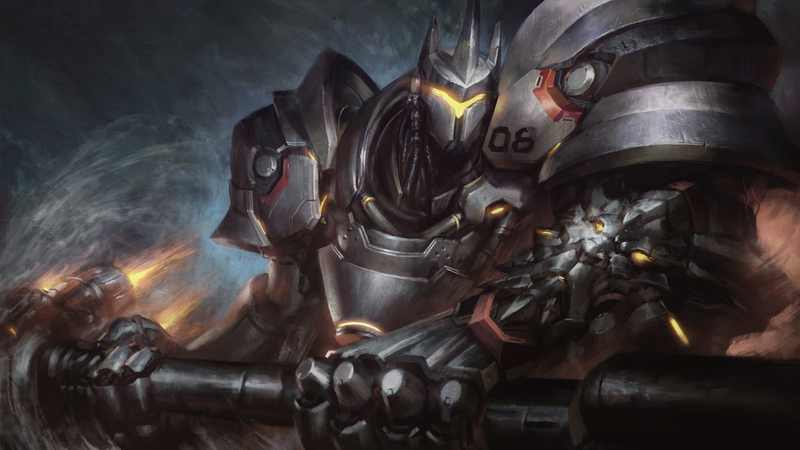 Reinhardt can hold several choke points with his 2000 armor shield to accurately defend his teammates on the frontline, in addition to 300 HP and 200 armor himself. With his shield, it is easier to push back as well as push into enemies whilst protecting more offensive characters. 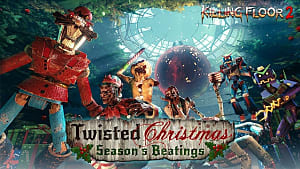 A charge allows him to disable and separate close-knit teams, most likely taking them out with a charge into a wall (300 damage), off the map, or the ending blow of his swing (75 damage per second). Finally his hammer down can completely disrupt an enemy push on the objective if done effectively, stunning enemies for 2.5 seconds to take out key members. Gameplay is more complex with Zarya and revolves around your teammates as well, but her activity in a match is rewarding if properly used. Zarya is useful by protecting her team and herself with bubbles, but to enhance the charge of these bubbles she has to do more damage. Zarya can be used to protect flankers, critical allies, and damage takers as well in order to sustain lives and charge to significantly damage enemies. Graviton Surge serves as a defense to gather close enemies together, which allows attention to direct towards more offensive heroes or it be used for a wombo combo (capitalizing on one ultimate ability with another), or focused away from the objective as well. Ana currently is the highest ranked healer in Overwatch, displaying massive amounts of restoration to all characters with her sniper (80 damage, 75 healing). In addition, her biotic grenade deals 100 health with a bonus of 100% healing from other sources (healing stacks) -- in other words she'll keep you healthier than your annual visit. 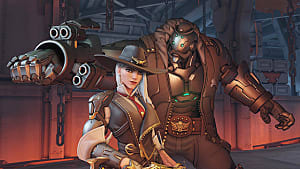 Keeping teammates alive is a strong part of defense and with Ana it is sufficient, especially when she can target and sleep dart problematic enemies for the team; even during ultimates. Her ultimate is also given rather then received, as she deals boosts to a teammate; increasing their damage by 50% and decreasing damage received by 50% as well. Soldier 76 is the embodiment for "the best defense is a good offense." 76 is an offensive hero, but his addition to defense is pivotal in providing teams with a good amount of DPS (damage per second) to keep enemies away from objectives, while also team healing when supports are down. 76 can be used for reconnaissance in this regard, with abilities to stand tall against offensive teams and protect against targets such as Pharah, Bastion, and Roadhog with his pulse rifle (6-20 DPS) and his helix rockets (120 damage) to keep foes at bay. 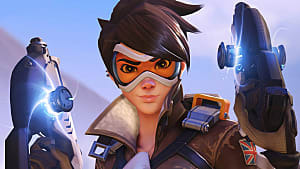 Mei is a strong defender, so much as she has developed quite the reputation as a disease within the Overwatch community. 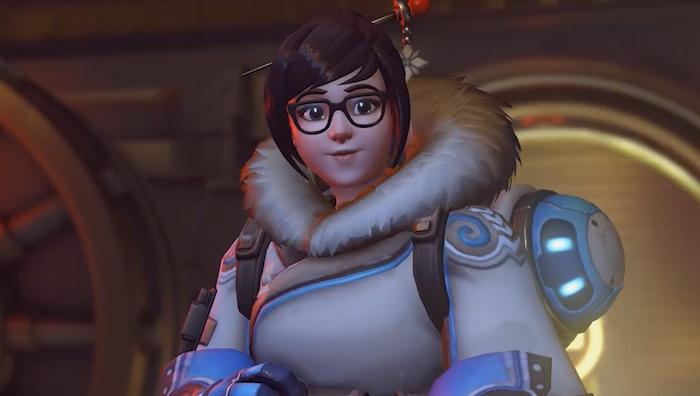 Mei can single handedly protect a point or payload when her ice wall is used effectively to block opponents from herself and teammates, as well as establishing barriers to hold choke points. 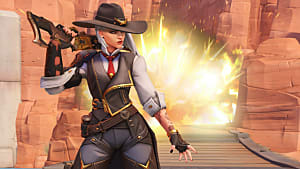 In addition she can self heal with her freezing ability without being harmed (37.5 health per second, 150 in total) to hold an objective alone for a short time before her team can return to fight. Symmetra was once the least played support in Overwatch, but ever since her buff she has dominated the game and become one of the most problematic, pesky, and somewhat overpowered character. She is almost a necessity to be used on point maps as she can use her teleporter to reach the point from long distances, and she even has a shield generator to boost all teammates in range and give them (+75) shields. This in turn makes the whole team more difficult to kill with a small upgrade, but that is not all Symmetra brings to the table. Symmetra's ability to keep hold of choke points and payloads by constantly beaming at enemies, focusing and slowing them down while also doing 25 damage per second makes are necessary. This holds enemies up while Symmetra can play the backline and bubble ahead for distraction, maybe throw a moving shield to block incoming damage or use her ultimate abilities. The most popular activity is running around every enemy and holding down her primary weapon ability -- which requires no additional accuracy to clear out several enemies. Symmetra is tough with her new found abilities and overpowered to many, but honestly the community may have created this monster. 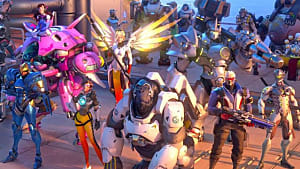 Overwatch has many strategies and many can argue which defensive heroes are more effective. What are your thoughts?